Prime Minister Sheikh Hasina urged the developed countries to come forward with financial and technical assistance to implement the development goals for achieving the sustainable development goals (SDGs) yesterday. She mentioned, “To ensure the disbursement of funds is a big challenge to achieve SDGs, reports UNB. For this, the developed countries will have to come forward with financial and technical assistance to implement the development goals.” The Prime Minister was speaking at the inaugural session of the two-day Bangladesh Development Forum at Pan Pacific Sonargaon Hotel. “This can contribute to overall global development, including poverty alleviation, employment generation,” she said. She mentioned that the government has now initiated the establishment of 100 economic zones in different areas of the country for foreign direct investment, working in other infrastructure development and implementing necessary reform programs to create a more foreign investment-friendly environment. 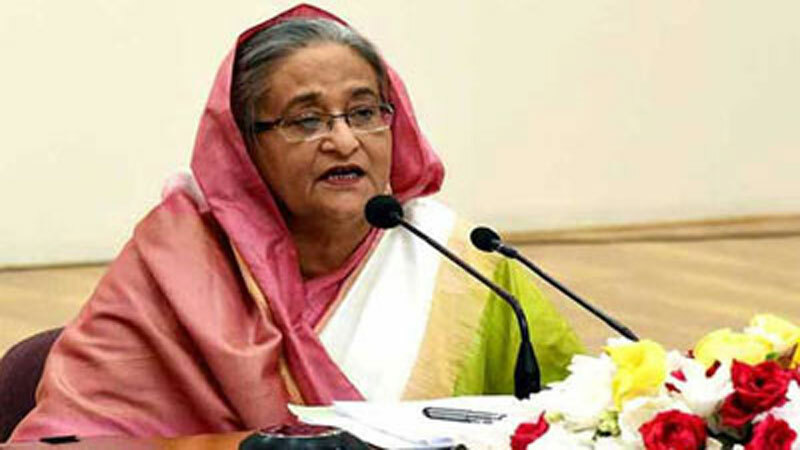 Sheikh Hasina said her government has undertaken three different five-year plans to implement SDGs 2030 and the main goal of the 7th Five-Year Plan are to ensure socio-economic development through sustainable growth. She said that for the first time Bangladesh will achieve the qualification of graduation from LDC category at United Nations Committee for Development Policy’s triennial review meeting to be held in March next. She said Bangladesh has taken strategic preparations to face its impact saying it would be possible to make up the impact by increasing economic mobility and work preparation. In her speech, the Prime Minister also elaborated her government achievements in various sectors in last nine years. She said in all economic activities, the government emphasized on creating regional communication and infrastructure, increasing efficiency and employment, using technology and ensuring economic and social equality, woman empowerment and ensuring equal opportunities for everyone. Sheikh Hasina hoped that the meeting of Bangladesh Development Forum will play an important role in determining collective action strategies and formulating necessary recommendations for building a poverty-hunger-free and prosperous Bangladesh. Separate sessions will be held on agriculture and extreme climate conditions, creating enabling environment for foreign direct investment, addressing inequality and fostering quality education and ICT. Sessions on addressing violence against women and ensuring women empowerment and improving urban service delivery will be held.